Government Policy now allows blending of BioDiesel with Diesel by owners of Petrol Pumps. Hence BioDiesel can be sold as 100% BioDiesel at some Petrol Pumps. Normal user do not want to buy BioDiesel and blend BioDiesel themselves. Some Car and Truck users are reluctant to use BioDiesel as it is a new fuel. Till such time as Diesel is readily available, Car and Truck users will hesitate to use 20% blend of BioDiesel. With rising Diesel prices, BioDiesel will be profit making business. Universal BioFuels Private Limited, Flat No 202, Door No 6-3-663/E, Diamond House, Behind Topaz Building, Punjagutta, Hyderabad, 500 082, Tel: 040 40058029, 40203461, Factory: Plot No 36, Industrial park, Vakalapoodi, Kakinada 533005, Tel: 0884 2307004, info@universalbiofuelsltd.com, http://universalbiofuelsltd.com. Kaleesuwari Refinery P. LTD., #53, Rajasekaran Street, (Opp. Kalyani Hospital, Radhakrishnan Salai), Chennai, Tamil Nadu, Tel: +91 44 3999 3999, Fax : +91 44 3999 3900 / +91 44 3999 3998, customercare@kaleesuwari.com, http://kaleesuwari.com. Cleancities Biodiesel India Ltd, Plot No H K L, Duvvada, Visakhapatnam, 530046, Special Economic Zone, Phase II, Andhra Pradesh, M: 89127 03672. Emami and Universal plants have large capacities. Procurement of BioDiesel in Tanker Loads from manufacturers is very easy, as compared to buying Diesel from Petroleum Oil Marketing Companies. BioDiesel is burnt in DG Sets at higher temperature. Hence its viscosity is comparable to diesel. 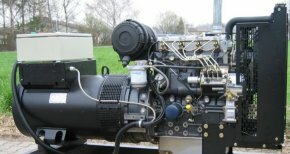 DG Set is a stationary engine. Hence, any problem can be attended to at site. BioDiesel is not adulterated with Kerosine or Naphtha. You do not need to visit Petrol Pumps for supply of Diesel and Beg for supply of Diesel Oil. BioDiesel manufacturers are more co-operative than Oil companies. New entrepreneurs can start BioDiesel Marketing Business with Dealership from suppliers of BioDiesel.